Okay, who doesn’t love getting mail? I’m pretty sure everyone gets excited when there’s a letter for them in the mailbox. It gives us this warm fuzzy feeling that we’re somewhat important, right? 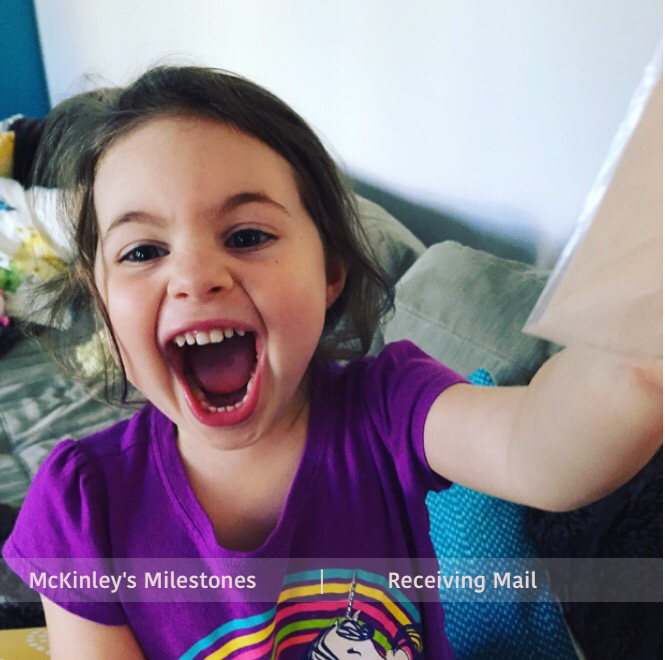 But three year olds receiving mail….is a whole new level of fuzzy feelings. Joy on an extreme level.